With Kids, We Go...: Midweek Zoo Getaway! 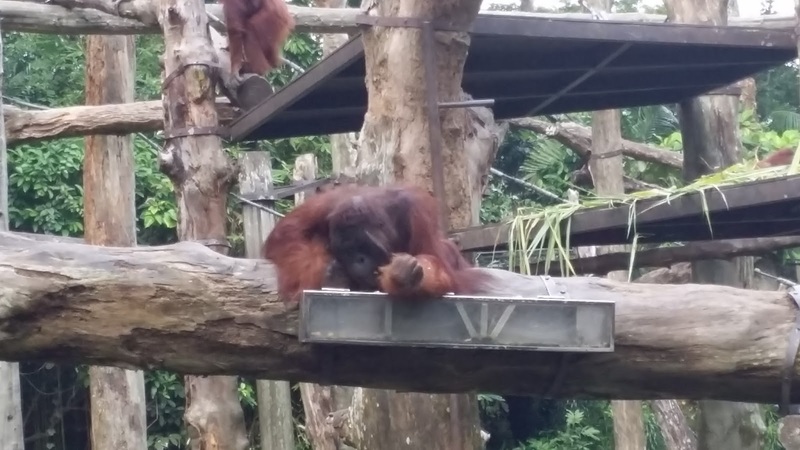 Spontaneous opportunities like these rarely happen, but I was on leave and suggested an impromptu visit to the zoo after securing corporate entry passes. 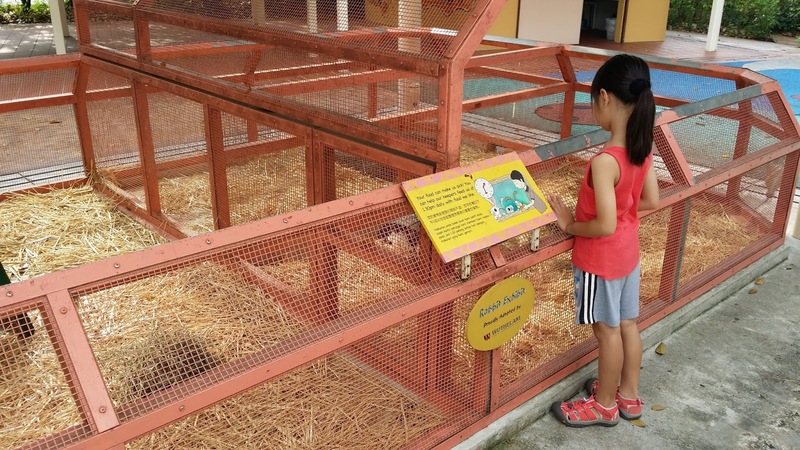 K had been raving about the possibility of one day owning a pet, and we could see from her conversations and selection of reading materials a heightened interest in animals. A daddy-daughter date was planned and you should see the gleaming smile and spark In her eyes when we broke the good news to her. 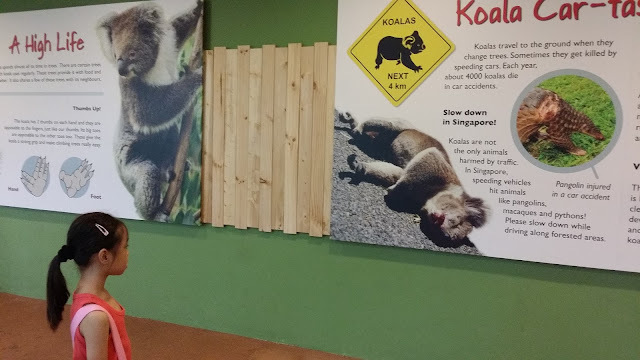 We left home early as the three-bus journey to the zoo would take us almost two hours. The journey itself was a chance to bond as we savoured the street view from our perch on top of the double-decker bus. When we arrived, there was hardly any no crowd. As a bonus, there was a brand new Australian Outback exhibit and we made a stop there to visit our favourite Australian ambassadors on our way to the Rainforest Kidzworld. It was daytime, which is nap time for these cuddly creatures. 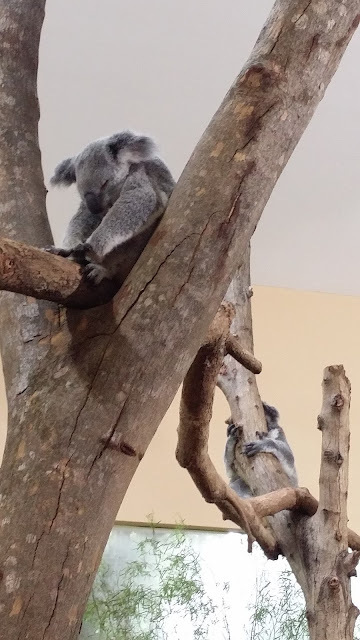 We could only watch from a distance as it was not time for interaction with the Koalas. 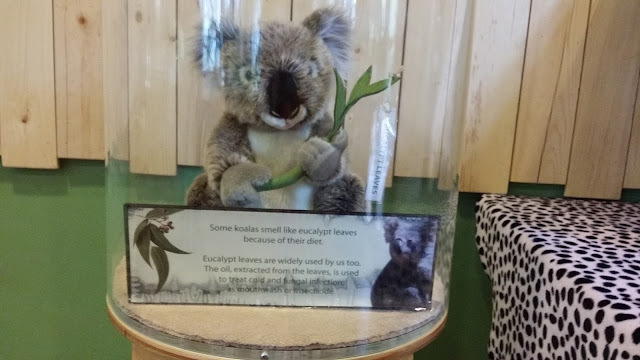 Information boards on the threats facing the Koalas. These apes are mighty intelligent. We observed the 'alpha male' break off a twig from a coconut branch, fashion it into a skewer to draw out little goodies from the box. He's massive and commands such a presence! 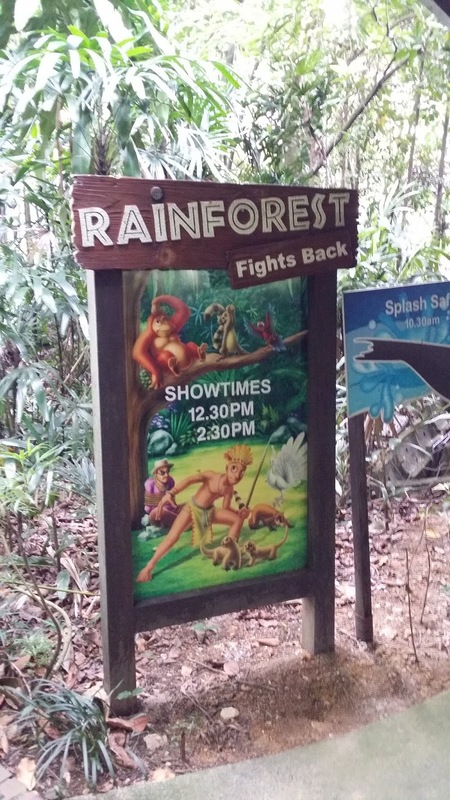 Perhaps the highlight of the plan was to play at the Rainforest Kidzworld all morning. After all, that was where K's favourite animals were: the rabbits! 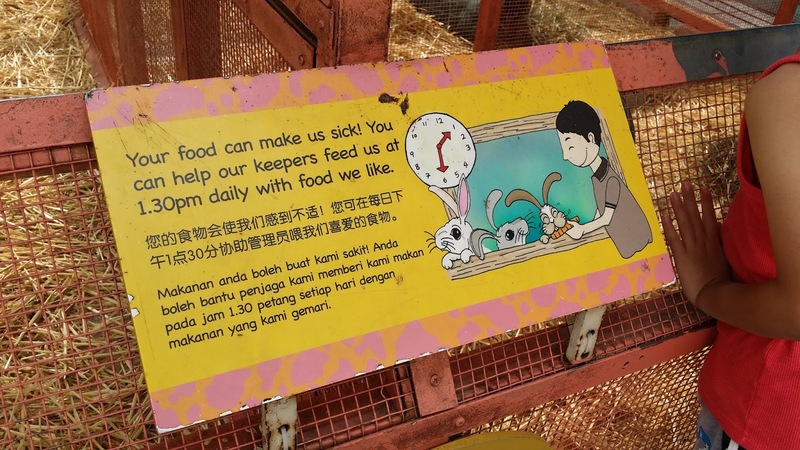 Unfortunately for her, the rabbits were caged and had fixed hours for interaction with kids. I regretted not checking this out earlier. 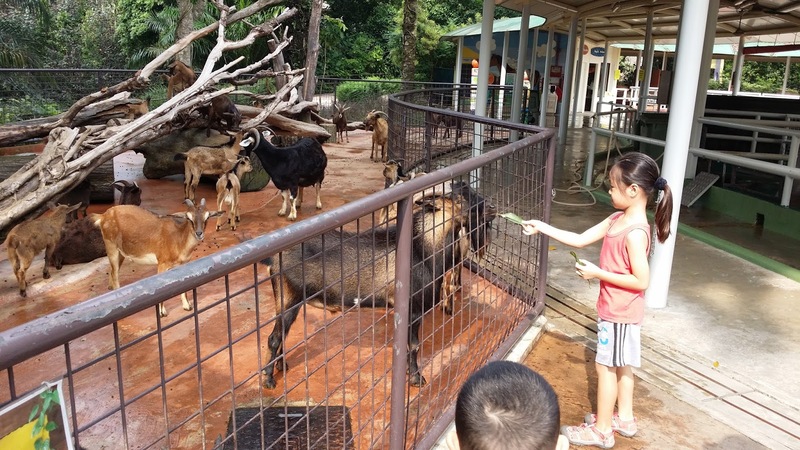 As we turned our attention to the other animals at the Kidzworld, our disappointment turned to excitement when we saw the goats. There was a huge bunch of leaves hanging at the side with a sign to feed the goats with it. A handful of leaves soon turned into almost an entire hour of feeding frenzy fun! 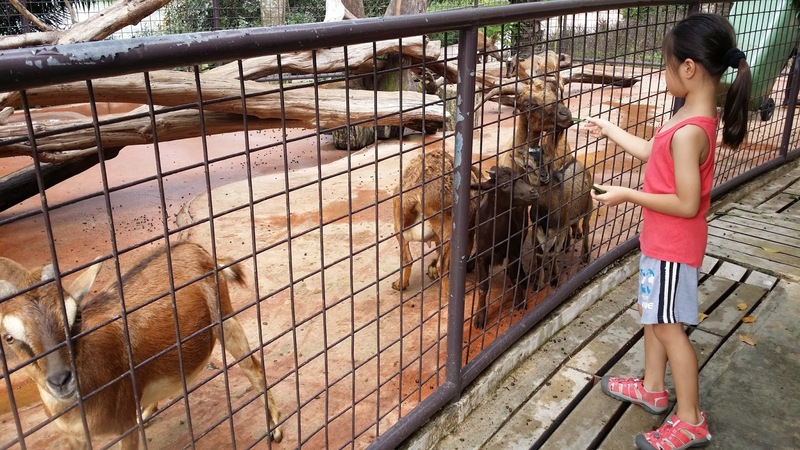 The goats were simply clamouring to be fed the juicy leaves. The kid had a good time trying to make sure everyone got their share. Big bully goat was head butting everyone aside. 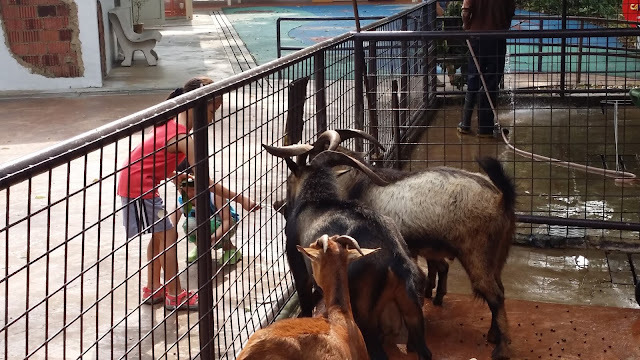 The little ones knew who was boss and kept their distance from the largest horns. When the 'Big Bully' was distracted at the other end of the enclosure, we took the opportunity to feed the kiddos and the mummies. At about 10 am, the Falabellas were brought into the grooming stable for their weekly 'bath'. This opportunity for interaction with the one of the smallest species of miniature horses in the world was simply wonderful. 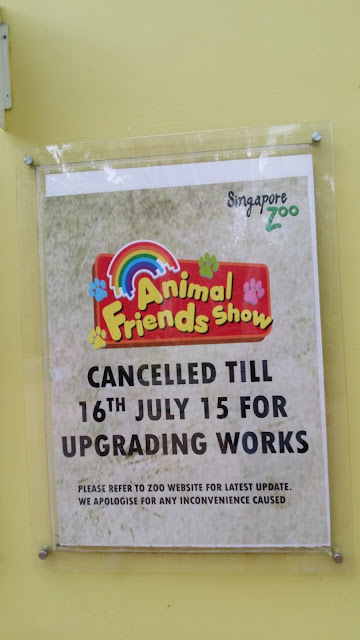 In addition, there was absolutely no queue as the Kidzworld was still relatively empty. Our friendly keeper was so patient with us, and taught us how to use the hand brush effectively. 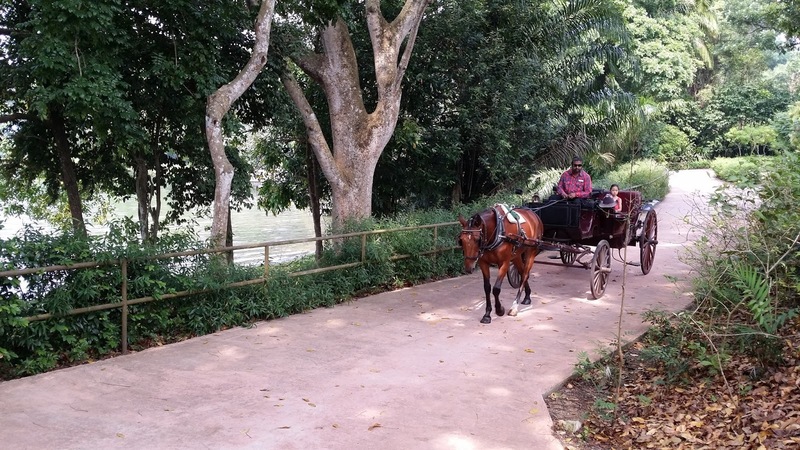 We learnt that these miniature horses were a hybrid species bred mainly for aesthetic purposes in South America. At Kidzworld, they are groomed about once a week. This was the equivalent of their bath, which was to remove the dirt and sand from their pretty coats. The Fallabellas were so gentle and perfect for interaction with children due to their size. The larger horses on the other hand were rather intimidating. We decided to take a break from the goat-feeding and had a look around. It was rather unfortunate that the Animal Friends Show was cancelled for renovation works. We had an early brunch when the KFC opened at 10.30 am and shared a two-piece chicken meal. 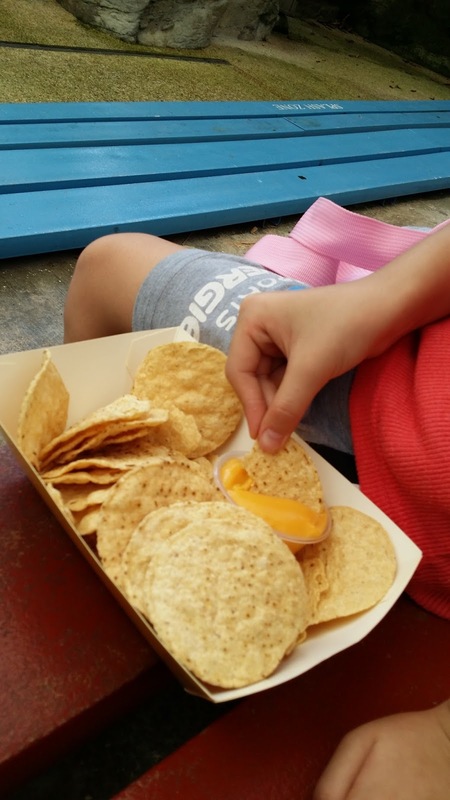 To settle the food in our tummies, we decided to check out the rides, and opted for the '3-in-1' package. 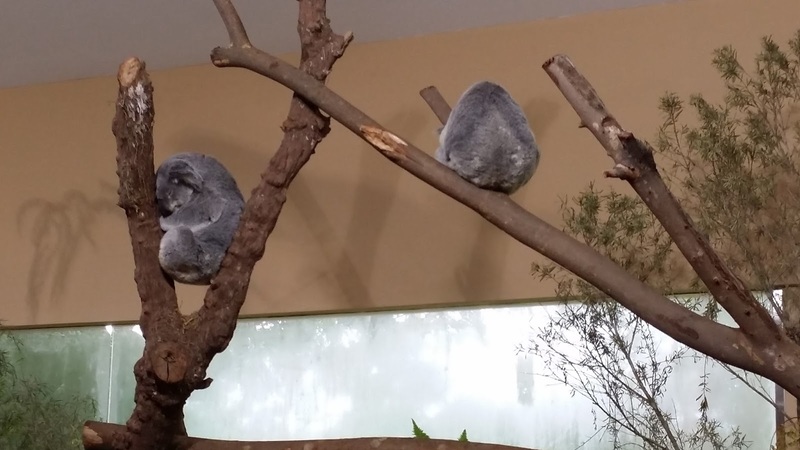 It felt like Australia's Swan Valley Cuddly Animal Farm all over again. First up was the pony circuit, and the staff was so assuring to her, constantly engaging her with information about the pony named Rosie. 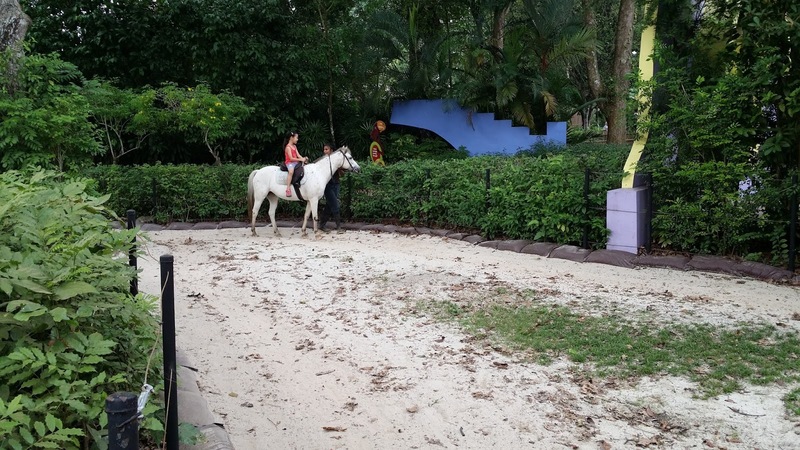 She was all smiles and happily chatting away throughout the ride. 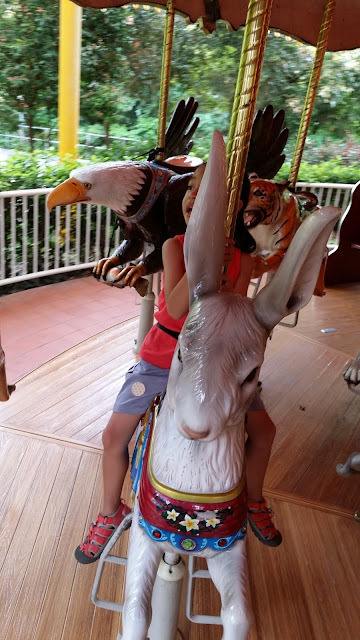 We had mixed feelings about the carousel as it seemed a little out of place in the zoo. The package offer was too good to pass off, so we had a go at it anyway. We were the only ones in the queue as it was still early, and it felt like the staff turned it on just for us. 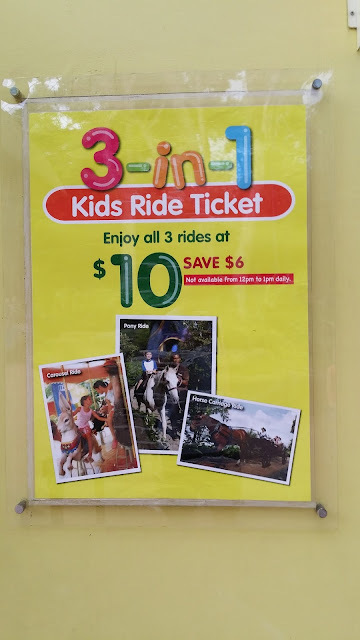 We circled the ride to choose an animal, and were told that they all moved up and down except for two of the animals. 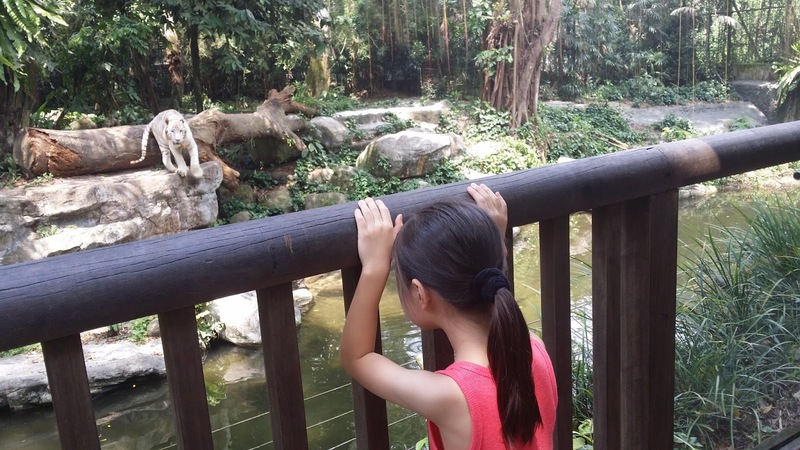 Of course, K chose her favourite animal (or the flavour of the month), the rabbit. This rabbit was a little large and not as cute as the lop-ear dwarfs we ogle at in the pet shop near our house, but it was a rabbit nevertheless! The horse-drawn carriage was quite a novel sight. It seemed like a page out of a children's fairy-tale. 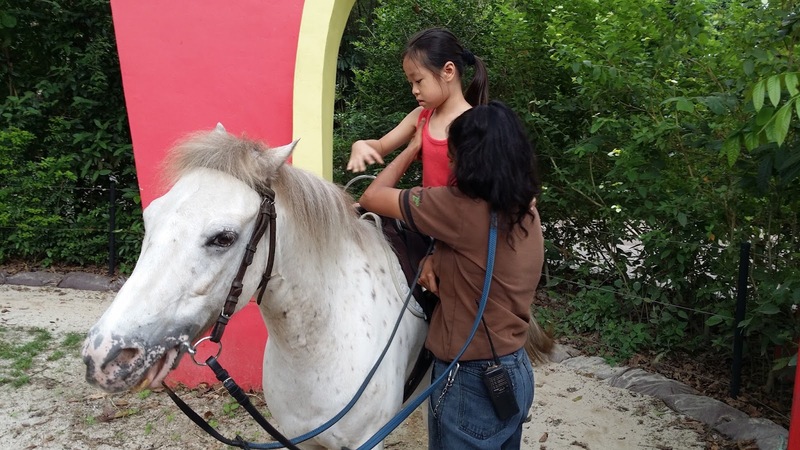 The carriage travelled a short 5 minute circuit around the Kidzworld at an easy pace. K asked if she could go alone, an odd request at first. I happily obliged, and felt like it was a reminder of how quickly she had grown. Snacking... it's a holiday after all! We were told to put all our goodies away right before the show started as the food might pose a distraction to the free-ranging stars of the show. 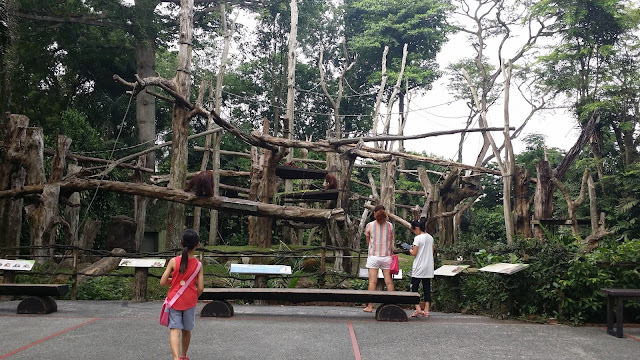 There were many monkeys and apes starring, and we learnt that one as a long tail and the other does not. Guess which is which! 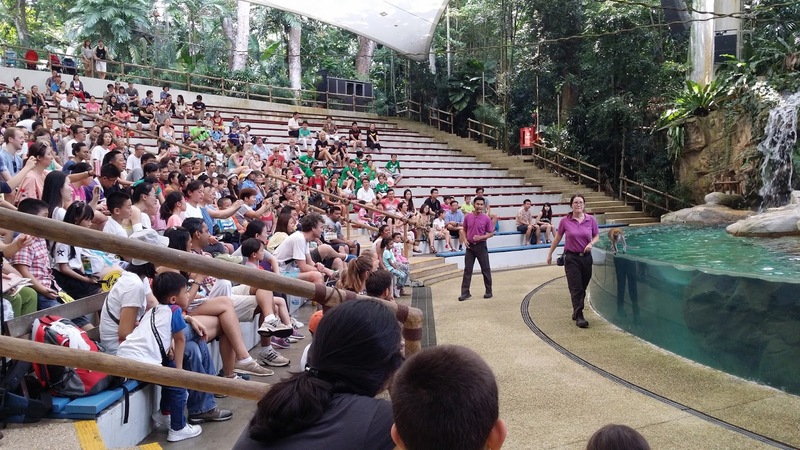 Here, the trainer parades her well-trained macaque proudly. A visitor to the zoo (and to Singapore) got a lttle more than she bargained for when the host requested for some help on stage. How about a huge Burmese Python? The show had a sobering message: whilst humans can be blamed for the destruction of rainforest habitats, we also hold the key to their protection and rehabilitation. A short stroll from the Shaw Amphitheatre, we encountered this unusual setup - a couple of large cabbages tethered to a branch. Guess what? There were large fish tearing chunks of cabbage off to eat. 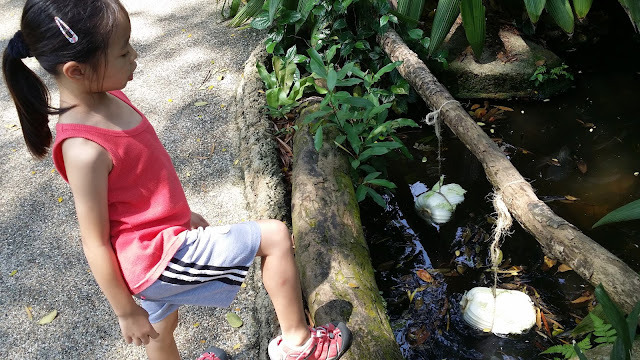 Fish eat cabbage? We learn something new everyday. 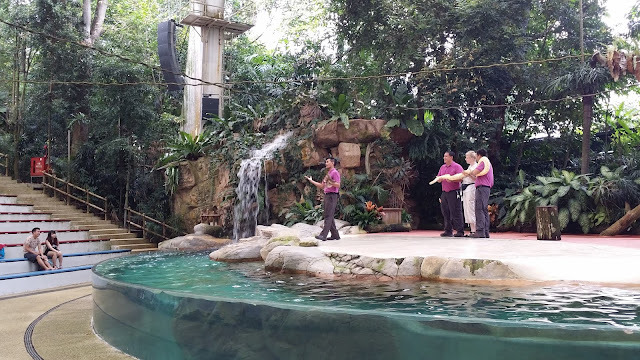 These must be the largest cuties in the zoo - the Pygmy Hippos! 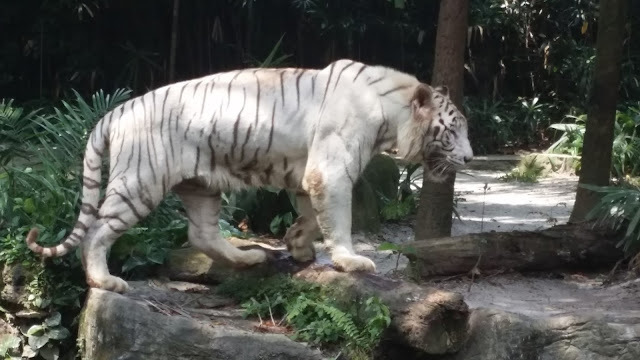 And these must be the baddest baddies in the zoo - the White Tiger - but they're mighty good-looking! The big cat was prancing around back and forth. "Daddy, before we go, can I have something cold? It had been a fulfilling morning and the sun was finally out and warming things up. 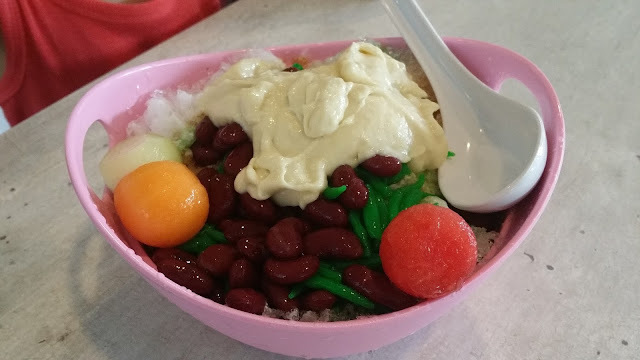 We shared a Durian Chendol at the Inuka Café at the entrance. All too soon, it was time to head home and tell Mummy and sister all about the wonderful day at the zoo. Although we did not get to handle the rabbits, all the wonderful sights and experiences more than made up for it. 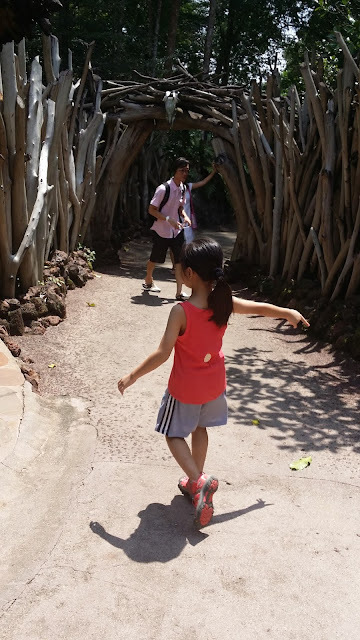 I silently hoped that the Daddy-Daughter date would inspire our little one to love her natural surroundings and develop a respect for God's creation. On the cab ride back, we recalled the day and talked about how we wanted to come back again soon. Personally, it was quality time with the girl and plenty of good memories deposited into the little piggy bank of her young heart. "Anyone know a good family friendly place where we can hand-feed and play with rabbits all day?" 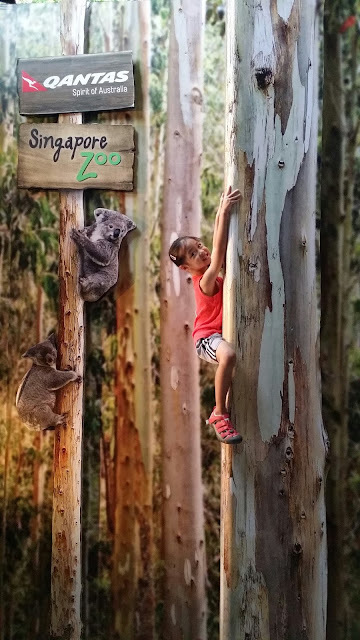 Good morning Mrs Angela and friends,I brought a collage to show you photos of my favourite place, the Singapore Zoo. It is my favourite place because I love animals. 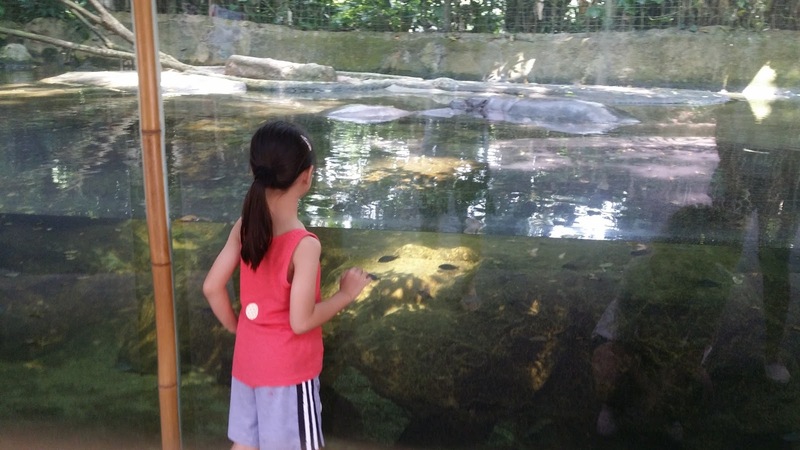 I can see many animals and feed them. In the zoo, there was an exhibition of Australian animals, such as Koalas. 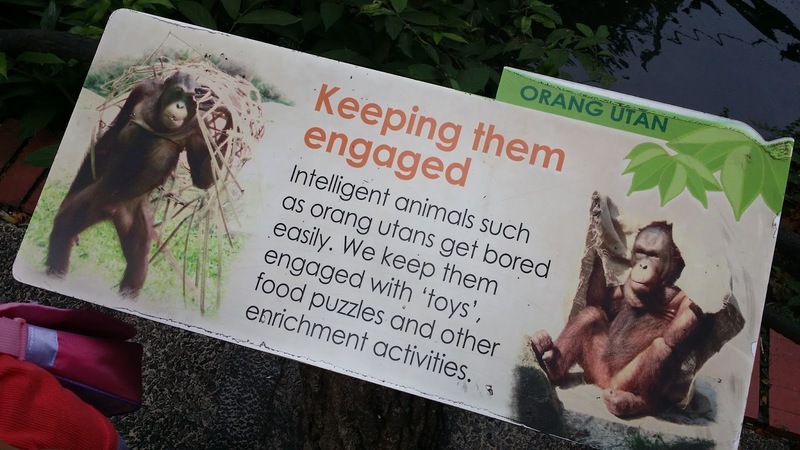 Another of my favourite animals is the orangutan. It is brown and has lots of hair. Next I went to the children's section and saw the rabbits. Although I did not get to feed them, I still enjoyed myself. I also got to feed the goats leaves that were provided by the zoo. In the children's section, there was a black horse called Lovena. I enjoyed grooming her hair while she swished her tail back and forth. 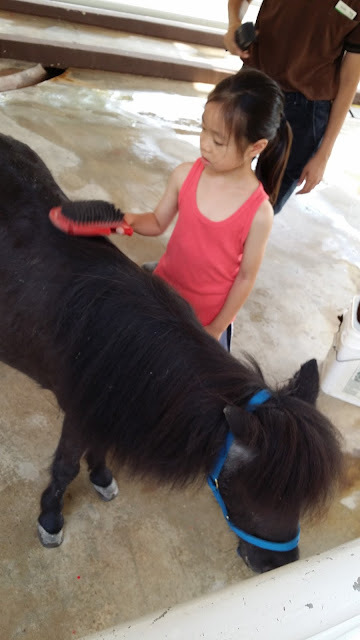 Lovena was calm and gentle when I was grooming her. Next I would like to tell you about the pony ride. 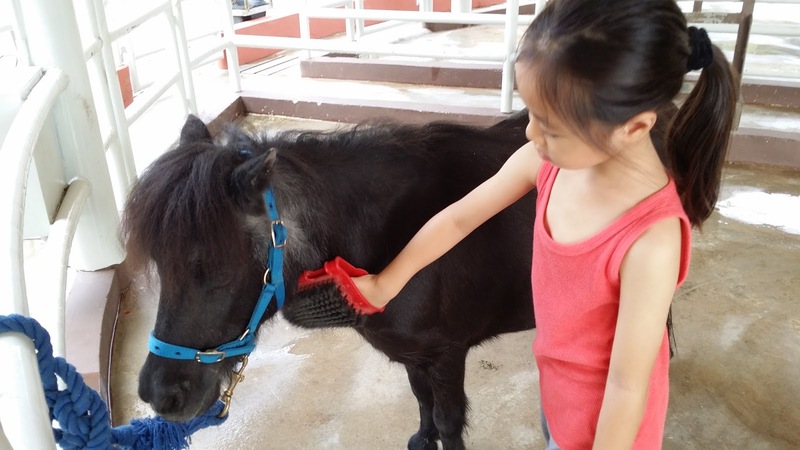 Rosy the pony was obedient and listened to everything the zookeeper told her to do. 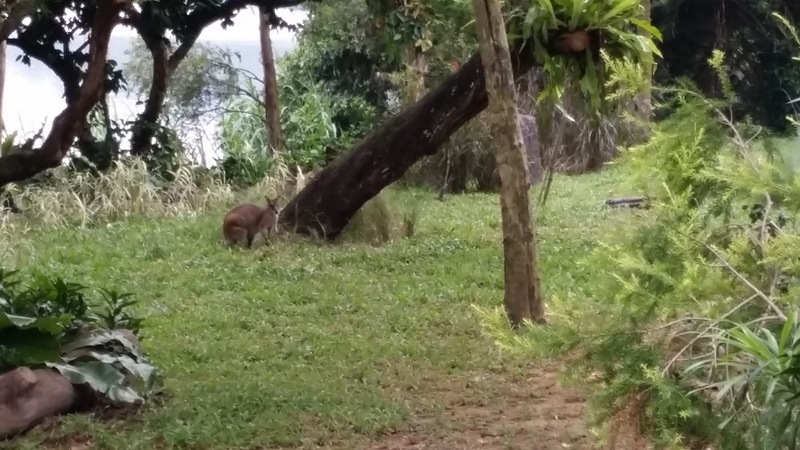 Before we left we saw many other animals. We enjoyed our day. I have come to the end of my presentation. Thank you for listening.